Khan is known for his incredible skills as an actor in India. He’s been in multiple Indian movies and is nicknamed as ‘The King of Bollywood”. 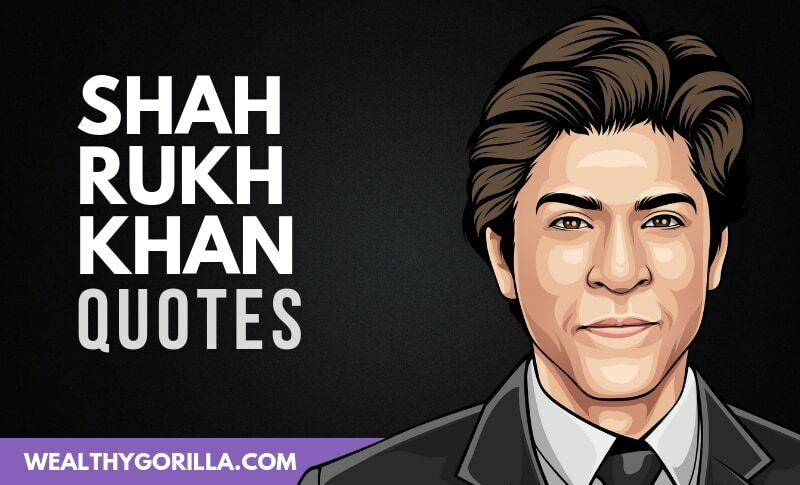 As always, I hope you love the quotes we’re publishing here guys and let us know if there are any other Indian actor/actress quotes you want us to publish on Wealthy Gorilla. Which are your favorite Shah Rukh Khan quotes? Leave a comment below.